Posted in Memoir, Pioneers, Products. 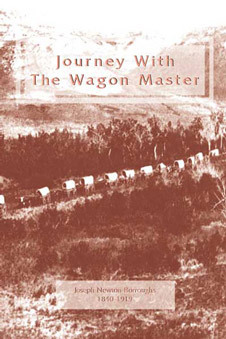 Joseph Newton Borroughs was only fourteen in 1856 when he started from South Carolina with his brother, the Wagon Master. His mind was on the adventures ahead. He got them. In the two years it took to get to California, he drove his own wagon, managed his own cattle, encountered howling wolves, armed robbers, rowdy travelers and his own heart. Fifty years later, he wrote this book. Joseph balances memories of awkward, winsome youth with the wisdom of age while maintaining the suspense and wit which make his story genuinely engaging and delightful.